“Kiedyś to było” (Back in the day) is a new comedy performance by a dance ensemble Fair Play Crew! Their abstract sense of humour, years of experience on stage and unmatched skills enable Fair Play Crew to give a good laugh to viewers of all ages. This performance will take us in the future, in which dancers of the Fair Play Crew play old gentlemen who reminisce how it was “back in the day,” and a lot has happened! Even though it may seem a sentimental journey, there will surely be a lot of fun as well! It is so good to say “back in the day” and catch up on old times. But it’s never too late to make new memories. “Back in the day” may also mean yesterday of last week, as it is always the time to play and discover new things! Fair Play Crew is a group of performers loved in Poland and beyond, who perform all over the world and enchant another thousands of viewers. During a tournée in China they presented their programme “Seriously Funny,” previously shown also in Białystok. 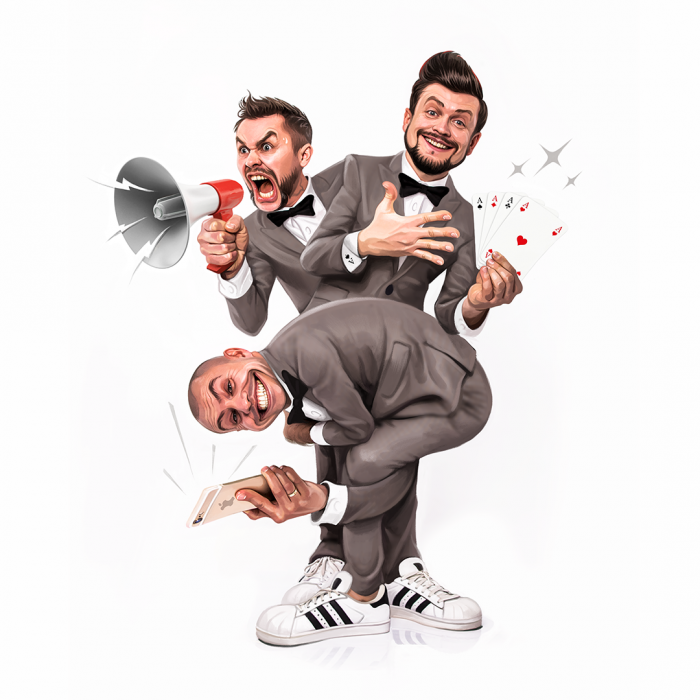 With a performance titled “Amatorologia” (Amatorology), the first ever Polish dance comedy, they won a landslide victory in PAKA—the most important Polish cabaret festival. During 20 years of activity the group has won numerous awards and distinctions in Poland and abroad.